For sale Komori Excel 432 + L offset printing machine. Year: 1987. Price - Rs. 35 Lacs. We require two plano millers having bed size : 13 Mts X 2 Mts X 1 Mtrs. Plano milling machine should be along with two universal milling gear. We immediate wish to purchase 8 colour 1250 mm 150 mtr/min rotogravure printing machine, 400 mtr/min slitting machine and solvent free lamination machine. 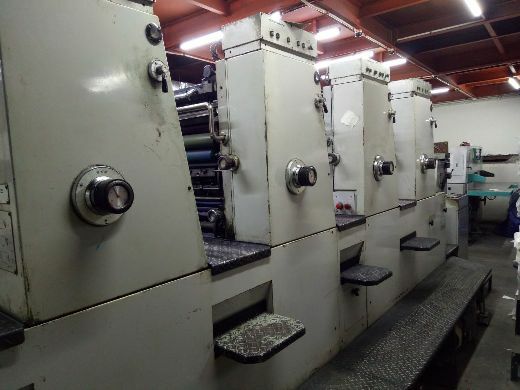 For sale 8 colour 800 MM rotogravure printing press. Make - Kohli. Machine is in perfect working condition. For sale CNC horizontal machining center. Make : BFW TMC 800 Year of Installation : 2005. Price - Rs. 70 Lacs. 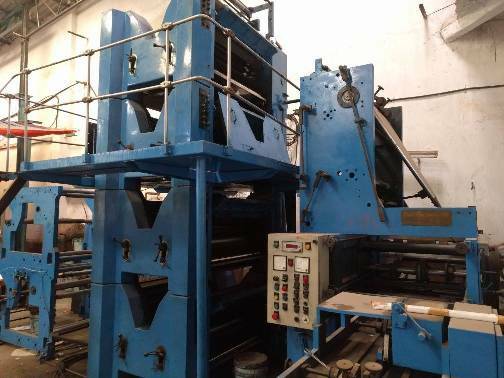 For sale Naph web offset printing machine for books printing. Year - 2012. It has 508 cutoff size, 4 + 4 HI with super folder quarter folder.